Each month I try to feature a live bluegrass band on my radio program–usually whoever is appearing at the local San Diego Bluegrass Society’s 4th Tuesday event at the Boll Weevil Restaurant. 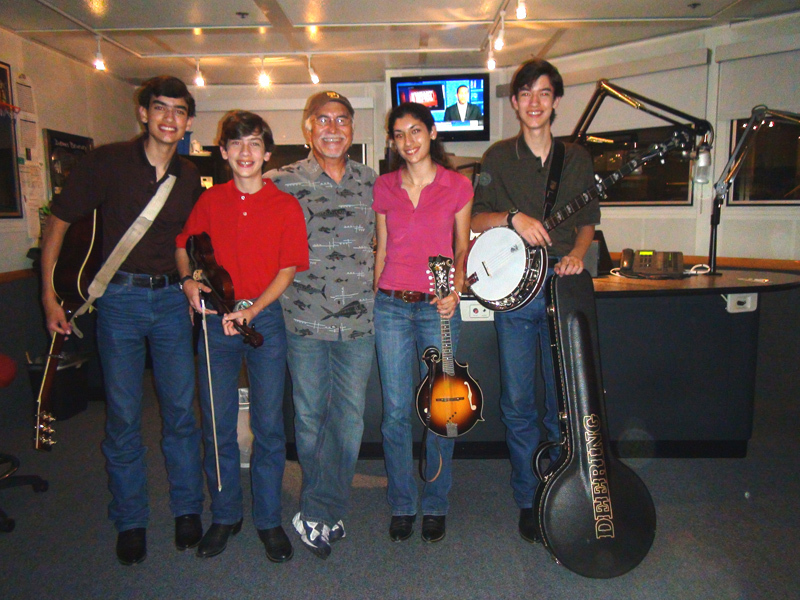 I heard that a group from Orange County called the Wimberly Bluegrass Band was going to be appearing at the June SDBS event, so I wasn’t real sure if they would be coming down to appear on my radio show or not. I wasn’t familiar with them and I hadn’t heard anything directly from them (or the SDBS) to confirm their appearance on my radio show. So when I arrived at the radio station Sunday night, I wasn’t absolutely sure if anyone was going to show up. But there they were! What a surprise to find this young, good looking group at the front door of the radio station ready to play! The Wimberly’s are a family group, three brothers and a sister ranging in age from 13 to 19 who are self-taught and have already recorded two CD’s. Mom and Dad accompanied the group to the studio and unlike many “stage parents” I’ve been around, they were extremely calm and content to let the youngsters speak for themselves and do their own thing. I was very impressed with them and wasn’t surprised at all to hear that they were home schooled. That certainly explained why they were so articulate and comfortable around an old codger like me, and how they developed a fondness for bluegrass and country music rather than what’s being marketed to the teen population these days. If you would like to hear them on my show, visit the kson.com/bluegrass web site … it will be there for a month. They will also be appearing at many Southern California bluegrass events, so keep an eye and ear out for them. This is a group with a lot of appeal and I think they will have lots of success coming their way. 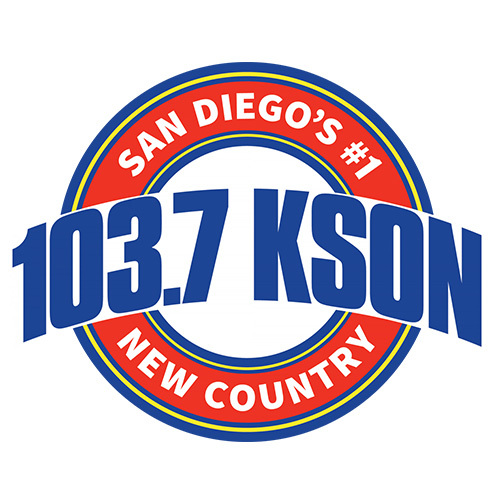 This entry was posted in Bluegrass, KSON's Bluegrass Special, Uncategorized and tagged Bluegrass, kids on bluegrass, kson, San Diego Bluegrass Society, Teenagers. Bookmark the permalink.